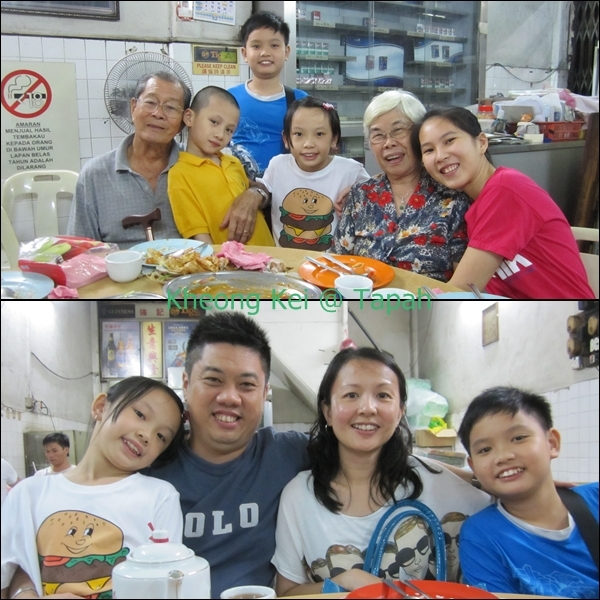 Once back in hometown, hubby thought since it's New Year's eve, might as well let MIL rest and we ate out. 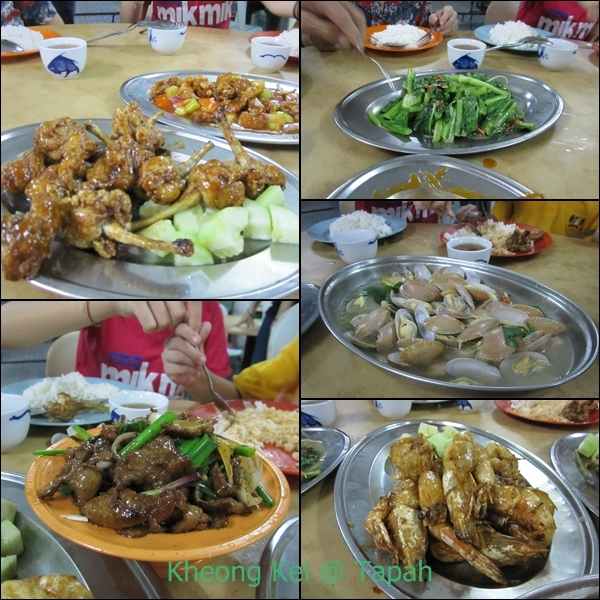 Kheong Kei Restaurant is our current favourite place for dinner as every food that came out of the kitchen tasted great :-) Furthermore the chef used to be Hubby's schoolmate so must support lah! We had fried chicken drumlets, stir-fried vege, lala in soup stock, butter prawns and special marinated wild boar meat courtesy of the chef! Honestly can't remember how much it was but definitely worth it especially since the portion was huge and taste was good! After the sumptuous dinner, hubby decided to tapau some Iced Kacang as Tyger craved for it =.= We were all filled up to the brim so in the end only shared and ate a few packets, the rest kept in the freezer!